Eutelsat Communications (Euronext Paris: ETL) has announced the full entry into commercial service of its high-capacity ATLANTIC BIRD™ 7 satellite one month after its launch to 7 degrees West. The transfer of all television channels onto ATLANTIC BIRD™ 7 from the ATLANTIC BIRD™ 4A satellite was completed in the early hours of October 23rd. 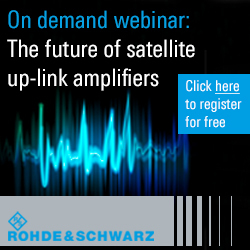 by Eutelsat's control center, working in close collaboration with broadcast clients and providers of uplink services. More than 400 TV channels are now broadcasting via ATLANTIC BIRD™ 7 into almost 30 million homes located from the North African Atlantic coastline across to the Gulf states. The satellite's increased Ku-band capacity delivers headroom for growth at the premier video neighborhood in the region. Its significantly enhanced footprint will also enable broadcasters to expand reach into satellite homes, notably across North Africa and in the Gulf. With ATLANTIC BIRD™ 7's entry into service, Eutelsat is strengthening its relationship with Nilesat, the Egyptian satellite operator that also manages its own system of three satellites at the 7 degrees West neighbourhood. Nilesat is leasing new transponders on Eutelsat's satellite in addition to leases transferred from ATLANTIC BIRD™ 4A. The supplemental capacity will further anchor the 7 degrees West neighborhood in the satellite broadcasting market across the MENA region, enabling Nilesat and Eutelsat to boost resources for digital channels and HDTV with 30 HDTV channels already broadcasting. The ATLANTIC BIRD™ 4A satellite is now released to continue full commercial service at another Eutelsat location. The satellite is being redeployed to 3 degrees East to address data and telecoms markets in Europe and South-West Asia. It will be called EUTELSAT 3C and will be colocated with EUTELSAT 3A. 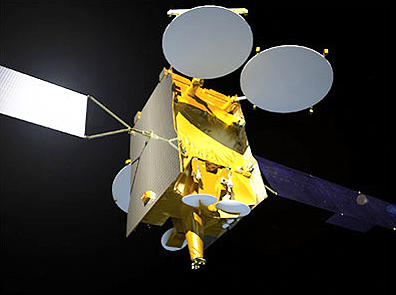 Built for Eutelsat by Astrium, ATLANTIC BIRD 7 is based on the Eurostar E3000 platform, with a launch mass of 4.6 tons and a spacecraft power of 12kW. Astrium was in charge of flight operations and specialised support during the Launch and Early Orbit Phase (LEOP) operations, and will continue to support Eutelsat by monitoring the satellite throughout its more than 15 year mission from its satellite monitoring centre in Toulouse.